Abook that makes me feel more sane– instead of less– is worth its weight in gold. 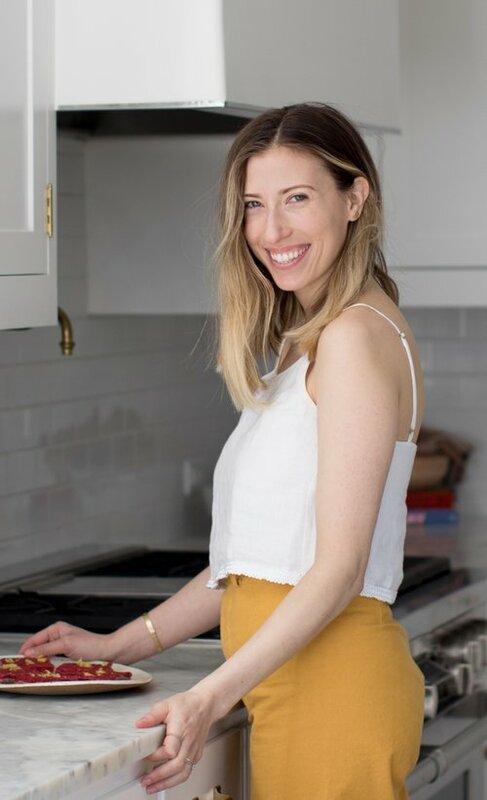 Shira Lenchewski, MS, RD, one of our favorite L.A.-based dietitians and a national expert on nutrition, delivers that and a side of cauliflower popcorn with her new book, The Food Therapist. 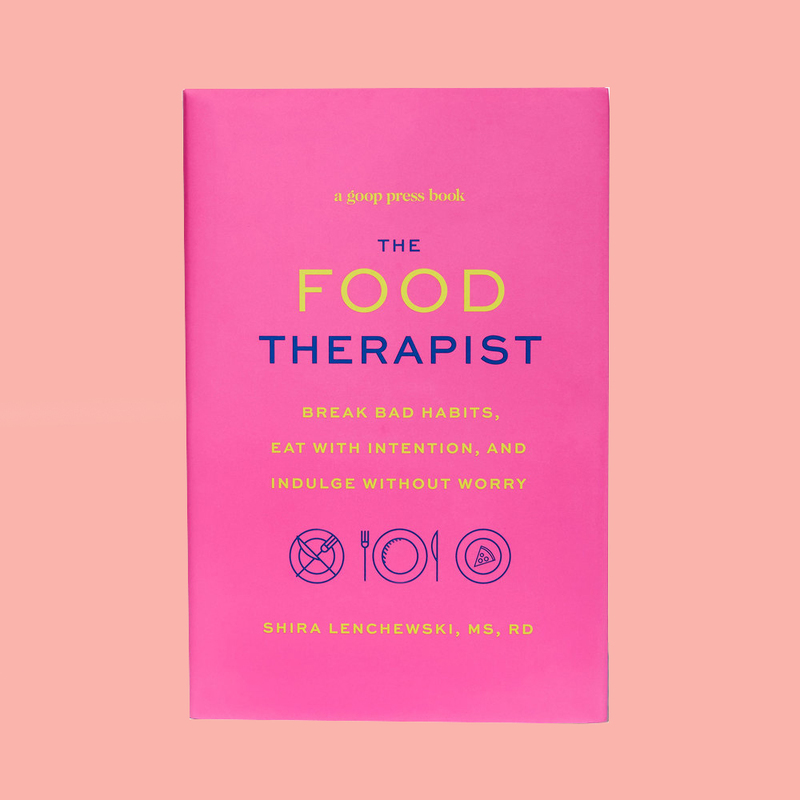 In a nutshell, it’s a guide to repairing your relationship with food to help you become more aware of your patterns and the psychological factors driving your behavior. It also provides some pragmatic advice– as well delicious recipes– to set you up for success. We’re a busy generation, whizzing from one task to another, and often multi-tasking as we grab our grub on the go. Unfortunately, that leaves little time to thoughtfully examine how and why we eat the way we do. As Shira points out in her book, our complex and often emotionally-charged relationship with food has been shaped by a cauldron of personal, cultural and societal factors that extend as far back as childhood. If you thought you were the only one to yo-yo between an extreme desire to eat a chocolate cake for comfort and the feeling of immense guilt after eating said chocolate cake, rest assured you are not. The key, argues Shira, is to be honest with yourself. “Accepting our food-related fumbles without the typical shame spiral, allows us to identify and really get to work on overcoming the obstacles holding us back from making solid food choices consistently, day in and day out,” says Shira. Thus the goal is to be conscious of how we eat, while removing guilt from the equation. While the first half of the book gives you the emotional toolkit, the second half is focused on concrete day-to-day tactics, such as what to pack in your pantry and a slew of mouth-watering recipes like roasted sesame-ginger Brussels sprouts and turmeric tahini sauce. The recipes are fairly simple, making them easy to put on repeat. There’s a lot to love here. “The most reliable way to create the future you want is to first envision it and then work at it, a little bit at a time, every single day,” says Shira. Truth. To purchase Shira’s book, The Food Therapist, click here. For more on Shira, check out her site and follow her at @shira_rd on Instagram. What a great book and drawing! LOVE it! Thank you, LOVE Jimmie!